Child Safety Online: How to Protect Your Child from Online Predators! As children get older, they will want to know more. With the emergence of the internet, this is easier than parents think. All it takes is a few keystrokes and they have come to the website of their choice. Even with that, children find ways to get the information they want. Being online exposes children to a new way of exploring things. Or they will access one of their favorite children’s television websites and look at old episodes of their favorite shows. If it doesn’t cost them much of anything, they will take advantage of what the internet has available. Even though a child may land on a child-friendly website, some of them do have chat rooms. Who says they would not try to access one of them? If they get lonely, they can look for new friends online. These are people they have never met before. Down the road, they start to feel comfortable talking to them. 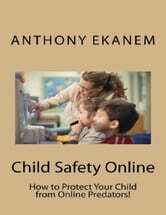 Books related to Child Safety Online: How to Protect Your Child from Online Predators! Don’t Be a Victim of Identity Theft! The Secret Keys to Online Dating Success! Time Management: Making Your Time Count!